Our Acceptable Use Policy www.tradeplatemate.co.uk/acceptable-use-policy, which sets out the permitted uses and prohibited uses of our site. When using our site, you must comply with this Acceptable Use Policy. If you purchase goods from our site, our Terms and conditions of supply www.tradeplatemate.co.uk/terms-and-conditions will apply to the sales. 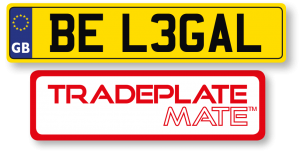 www.tradeplatemate.co.uk is a site operated by M3 Partners Limited Ltd (“We”). We are registered in England and Wales under company number 10242333 and have our registered office at Meadow Cottage, Elm Corner, Ockham, GU23 6PX. Our VAT number is 248 4047 01.